Are you interested in simpler lifestyles, energy efficiency, tiny homes, electric vehicles, or just looking for a fun event to attend with your family? If so, you should check out this year’s Living Simple: A Tiny Home Expo! 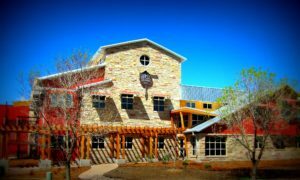 At the event you can learn about a wide range of topics including: tiny homes, alternative energy solutions, waste to reuse pathways, and DIY projects to simplify and improve your lifestyle. No energy-efficient lifestyle is complete without a vehicle that can run on locally produced, renewable energy, so DENC will be there hosting a Ride & Drive event! 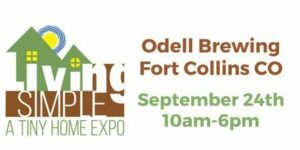 The Living Simple Expo will be held on September 24th from 10am to 6pm at Odell Brewing Company, located in Fort Collins CO. This year attendees will enjoy workshops, speakers, vendors and exhibitors who are willing to share their homes and their experiences. 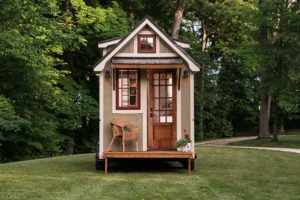 Whether you are considering buying a tiny home or are just looking for ways to save money or reduce waste in your life, you will find useful ideas and methods at the event. Statistics show that having the opportunity to get behind the wheel of a real electric vehicle is one of the most effective ways to convince people of the convenience and superiority of electric vehicles. DENC is partnering with local dealerships to bring up to six different electric vehicles to the Living Simple Expo to give attendees the chance to sample some of the excellent electric vehicles currently on the market. This variety of vehicles will showcase the different needs and energy-efficient lifestyles today’s electric vehicles are able accommodate. The event is a great opportunity to spread the news about EVs as attendees are likely to already be open to the possibility of making the switch to driving electric. Would you be willing to volunteer to spread the word about EVs at this event!? DENC depends on amazing volunteers to make our events, like the Living Simple Ride & Drive, a success. If you’d like the chance to help us show Expo attendees just how incredible electric vehicles are and how no energy-wise lifestyle is complete without one, all while learning about all of the other useful and fascinating topics that you’ll find at the event, please consider signing up to help us run this important Ride & Drive! Your helping hands and your enthusiasm for EVs are key to showing more people why they should kiss their old gas-burner goodbye! You can sign up to volunteer here. All volunteers will receive free admission to the Expo! You can also check out the event on Facebook.